Knowledge about different types of lights is something you will surely not pick up at school but it becomes quite crucial once you have to start thinking about equipping your home, making it comfortable and suitable for a proper living. 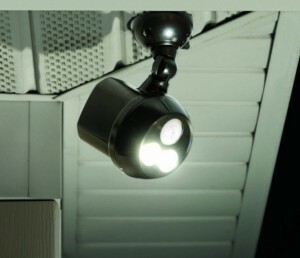 The lighting can be used not only to illuminate indoor space in order to increase the visibility inside the house but also to decrease the risk of burglary by illuminating the facade of your house and yard during the night-time. However many people still tend to get themselves lost between the supply of the „heavy lights” not really knowing whether to buy a spotlight or a flood light for a given situation. Actually, after obtaining all the relevant knowledge on the basic differences in the functions of these two completely different lamps, one will never have to face this confusion again. This article will briefly explain you the purpose and operating principles of spotlight as well as outline the major differences between spotlights and flood lights to clear up some of the doubts as well as to help you out in making the best and most appropriate of choices. Even though you might not know the exact definition of spotlight, you have surely seen them being used: either in an art exhibition where one particular piece or detail was highlighted by a special light, or in a theatre play where most likely combinations of different spotlights or at least one single spotlight was used to illuminate the performance. In fact, the light coming out of your flashlight can also be considered a spotlight. It is just a smaller type of one. Comes equipped with an “iris” for adjusting the angle of the beam. Ellipsoidal spotlight. 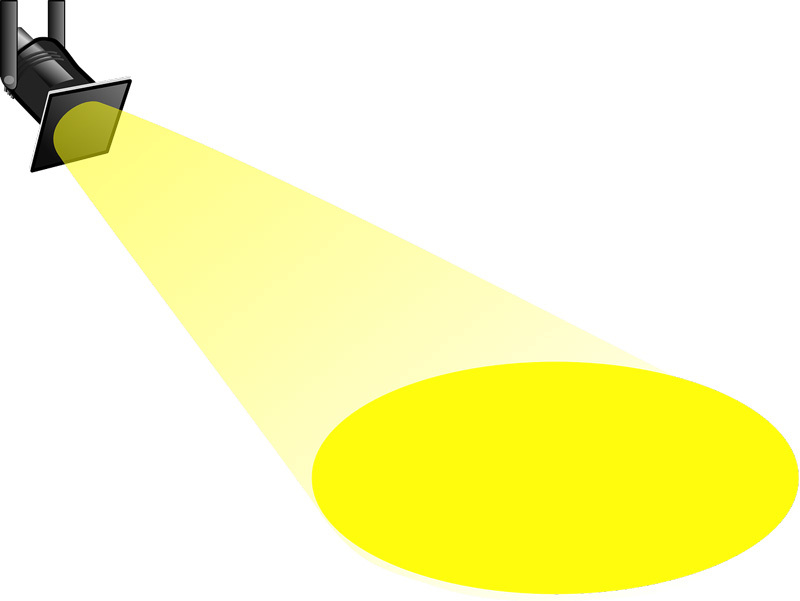 This is the most common of all seven types of spotlights. It produces round-shaped beam of light but it also can be easily adjusted and changed by using different iris, gobo or shutters with it. Fresnel spotlight. Spotlight which received its name after Augustine Fresnel, the designer of so called Fresnel Lens. It functions similarly as flood light illuminating one concentrated area. However it lacks many of the benefits of other lightings e.g. it is not possible to change the patterns of Fresnel spotlight. The piano convex. Invented in late 19th century, this is the oldest of all the spotlight technologies. Since the spotlights have evolved to a lot more complex and easily adjustable versions, you will rarely see this type of spotlight to be used in grand events. Beam projector. This spotlight works without any lens producing very direct and strong beams of light. Follow spot lights. Mainly used in theatre performances when a light has to follow a moving object (such as actor). This light and its trajectory are usually operated by a person, not an automatically controlled system. Parabolic Aluminized Reflector (PAR) spotlight. This is known to be one of top options in the entertainment industry for stage lighting. Every PAR spotlight consists of filament, reflector and lens aligned in fixed positions. Parabolic Aluminized Reflector pin spotlight. It’s a low voltage PAR spotlight which produces a lot more concentrated and narrower beam of light than regular PAR spotlight and it is used to illuminate smaller details and objects such as the face of a performer. As said, you will rarely see spotlights being used for household purposes yet it should not be denied that you might find yourself in a situation where you actually need a light that produces more focused and narrower beam than a flood light. Mainly the spotlights are widely used to illuminate stage and hence in every theatre, opera-house, concert-hall and ballet having different spotlights is a must. Since by using a spotlight it is easier to highlight a particular object, they are also used in museums and art exhibitions when there is a need to shed light on a single object. To know how to organize and manage lighting of a stage and performance is surely not an easy task and that is why every entertainment and art establishment hires professional illuminator – a person operating lights and creating lighting solutions for every particular case. If you have read the article this far, you are probably still a bit confused. If spotlight functions similarly as flood light producing concentrated beam of light, then where is the great difference between these two? For this case the answer is very simple and it lies in a single aspect that nevertheless makes these two types of lamp completely dissimilar. Every spotlight regardless its type and other adjustments creates narrow beam of light which does not exceed 45 degrees whereas flood light makes light which can make a beam of up to 120 degrees. It means that beam of flood light simply is wider than the one produced by spotlight. Thereby the functions of each of these lamps are also slightly different. Spotlights are the best to use if you have to point out a particular object but flood lights is the best option for illuminating larger amount of space. Both of them consume around the same amount of wattage and can produce similar amount of lumens, so you basically have to assess the situation and see whether you want to light just a single object or much wider area. Next story What are Light Dimmers and Which Type of Light Bulbs are Dimmable? Previous story What is Solar Lighting and What are its Advantages?